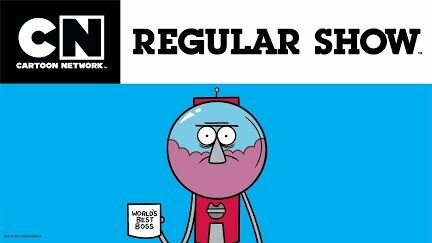 Watch more Regular Show on Cartoon Network! Mondays at 8/7c. Best friends, Mordecai (a six-foot-tall blue jay) and Rigby (a hyperactive raccoon), are groundskeepers at a park. The job is so deadly dull that the two friends will do anything they can to avoid it, often resulting in inane escapades.